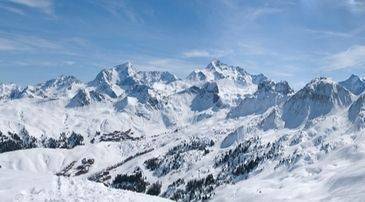 Nestled in the heart of the French Alps Arcs offers the ideal skiing destination during the winter months. 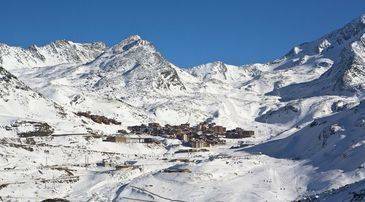 Yet there's also a real advantage of choosing Les Arcs as your summer destination. A combination of four different mountain areas, with altitudes ranging from 1,600m to 2000m, means visitors can discover a great number of hiking trails, mountain biking paths and scenic vistas. 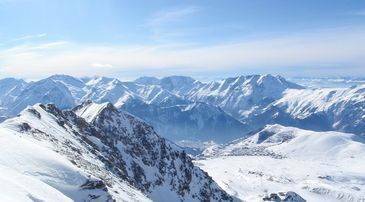 A visit to Les Arcs offers access to the greater Paradiski area, resulting in a fantastic option for an alpine holiday packed full with outdoor adventure. Located just 10m from the tourist office, a collection of restaurants and a range of shops, Residence Les Arolles is the ideal place to kick back, relax, and explore in this vibrant resort. 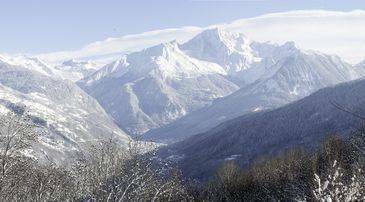 Decorated in the traditional wood interior that is so familiar to the Savoyard style of the region, the cottages offer stunning views of the surrounding area, including the world famous Mont Blanc. There are also nearby shuttle buses from the accommodation, giving guests access to the rest of the resort. Les Arcs offers a huge range of outdoor options as well as various other sporting activities the whole family can enjoy. There are a number of activity companies which offer a wide selection of mountain activities, catering to the whole family and allowing guests to make the most of the mountain the whole year round. During the summer months they offer speed riding, mountaineering and climbing courses, various treks, walks and mountain biking. For an alternative view of the resort, water sport activities in Les Arcs offer the chance to enjoy the beautiful River Isere. With the guidance of trained professionals this is an ideal place to try out white water rafting, rushing down the fast flowing rapids, and getting thoroughly soaked in the process! Open to anyone above 10 years old (8 and 9 year olds must be accompanied by an adult). Try out speed riding, a combination of skiing and paragliding, at the very beginning of the summer season or take in the whole mountain and its beautiful forests with a helicopter tour. There are also companies in Les Arcs which offer group or team building activities such as an evening in the highest bakery in Europe. For a more relaxed way to enjoy the resort there are two different cinemas available: the Arc 1800 Cinema and at the bottom of the mountain the Le Coeur d'Or Cinema. Bowling Arc 1800 is also located in the heart of the resort, offering refreshments, bowling alleys and pool tables. There are a number of activities available within the Residence Les Arolles itself, including a steam room, indoor pool, sauna and gym. This is the perfect spot to relax and enjoy the local delicacies including the onsite fondue and raclette machines! A summer holiday in Les Arcs allows guests to try out some of the wonderful local Alpine cuisine on offer. There are numerous bars and restaurants in the area which will keep everyone entertained until the early hours of the morning. One of the finest is Chez Clarisse, a child-friendly establishment offering the finest of the local produce - they even feature in the Michelin guide. Despite the restaurant's high accolade, it's still great value with a main course only setting you back around Eu20. Make sure you don't miss their excellent crème brûlée! The aptly named 'Oh Why Not' is a favourite among locals and offers a high-rated four cheese Savoyard fondue! Also known for their hearty burgers and melt in the mouth raclette, this is the ideal place to try Alpine cuisine at its best. The owners, Alex and Julie, provide a warm and friendly atmosphere all year round. For a more lively dining experience, many visitors head to El Latino Loco. Showcasing a range of local and international dishes, including Savoyard specialities, everything they offer is homemade with fresh produce daily. Although very family friendly, the restaurant also has a range of live music nights. 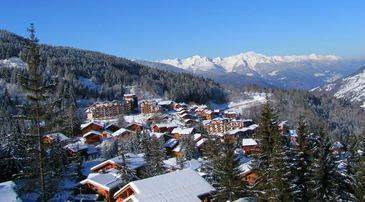 While staying in Les Arcs you will be spoilt for choice with great bars and pubs. Just a few minutes from the centre of the resort, The Golf Bar offers the perfect spot to try one of their renowned cocktails, while chatting with friends in the relaxing ambience. The Golf Bar often welcomes world famous jazz musicians, as well as other live music nights. Open at 4:30pm daily, it's a good option for a relaxed drink in the evening. Also located within minutes of the centre of the resort is The Casual Bar. This new addition to the area boasts a unique experience for the whole family. They have a wide collection of books to peruse, a pool table, and will often show films on their big screen. If you're lucky you may also catch one of their lectures, often given by renowned world travellers. Jimmy's Apres Ski Bar offers a more lively way to enjoy the snowy evenings. Located at the bottom of the Vallandry chairlift, you can indulge in a drink straight after leaving the mountain. This Dutch run bar stays open until 1:30am on most nights, and they have a daily happy hour which runs between 8pm-10pm, as well as hosting a DJ every Saturday night. There are plenty of options for passes available for the summer season. These start at Eu6.50 for a single trip or Eu90 for a season pass, throughout July and August. It should be noted that children's prices will vary according to age. The Residence Les Arolles offers private parking to its residents; available at an additional cost. Parents have a wide range of options when it comes to childcare in Les Arcs. The Cariboo club provides childcare options all year round, with ski lessons in the winter and outside activities in the summer. They cater to children from three to 13 years old and also provide a petit Cariboo crèche for little ones aged between three months and three years. All the staff speak English fluently, too. Alpine Child Care also offer the option to hire a private nanny for your childcare needs and will provide a chat service that allows you to speak to your selected nanny before your trip. All nannies are DBS checked and there is a set rate of Eu16 per hour.